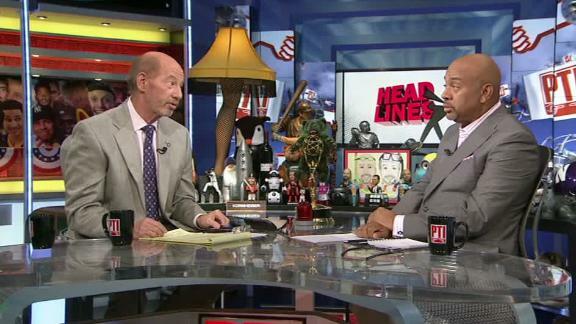 PTI's Tony Kornheiser and Michael Wilbon analyze the cyberbullying of Gabby Douglas and why they believe it is tougher to avoid these racial attacks today. RIO DE JANEIRO -- Gabby Douglas had just completed the last routine and last post-competition interview of her Olympic career, and her eyes were puddling up with tears after someone asked her about the latest wave of criticism she had caught back in the U.S.
"I tried to stay off the internet because there's just so much negativity," Douglas admitted when asked about the stories that went viral after the U.S. won the team competition; the articles suggested she didn't exhibit proper decorum on the medal stand. "Either it was about my hair or my hand not over my heart [on the medal podium] or I look depressed. ... It was hurtful. It was hurtful. It was. It's been kind of a lot to deal with." 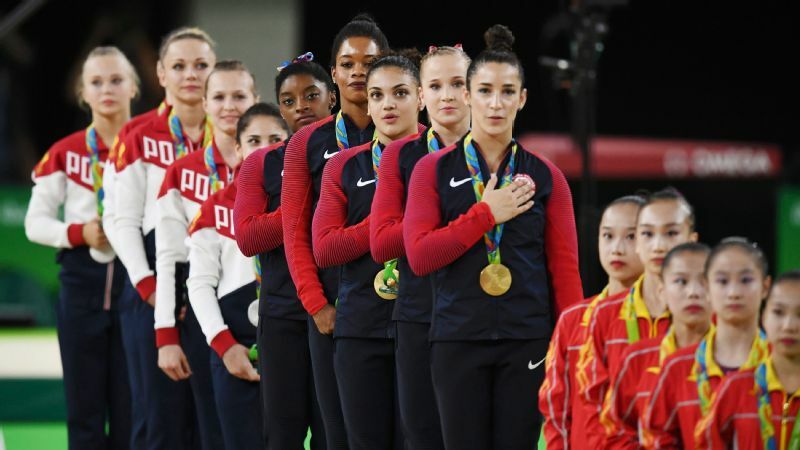 Douglas noted "I apologized if I offended anyone" by merely standing at attention rather than copying her four teammates, who had their hands over their hearts. But she still remains a bit baffled. "I've always said it was an honor to represent the U.S. You always do this for your country, and then, like people say, for yourself and other people." 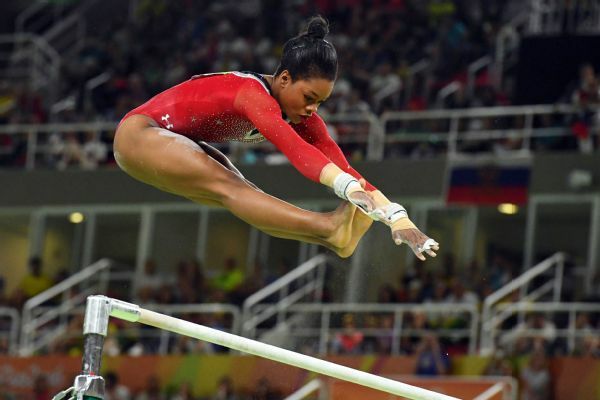 Three-time Olympic gold medalist Gabby Douglas finished seventh in the uneven bars on Sunday in what was likely her final competition in the Olympic Games. After Douglas thanked everyone in the press area and gave way to Madison Kocian, who won the silver medal in the uneven bars competition, she walked down the hallway at Olympic Arena. Then Douglas stood in a corner, facing a wall, and had a good, long cry. It was hard to watch. Every now and then, a Team USA worker took a look at her. Finally, a woman walked over and handed Douglas what appeared to be a Kleenex. The woman wrapped an arm around Douglas' shoulder and patted her a couple of times, then left the gymnast alone once more. In a Reuters story posted Sunday, Douglas' mother, Natalie Hawkins, was more direct, calling what her daughter has been through "bullying." "What I saw in the stands," Hawkins said, "was someone who was hurting and she was also angry. What was going through her head was, 'I'm being attacked for everything I do so I might as well not do anything. Because no matter what I do, I am being attacked.'" "You name it, she got trampled," Hawkins added. "What did she ever do to anyone? 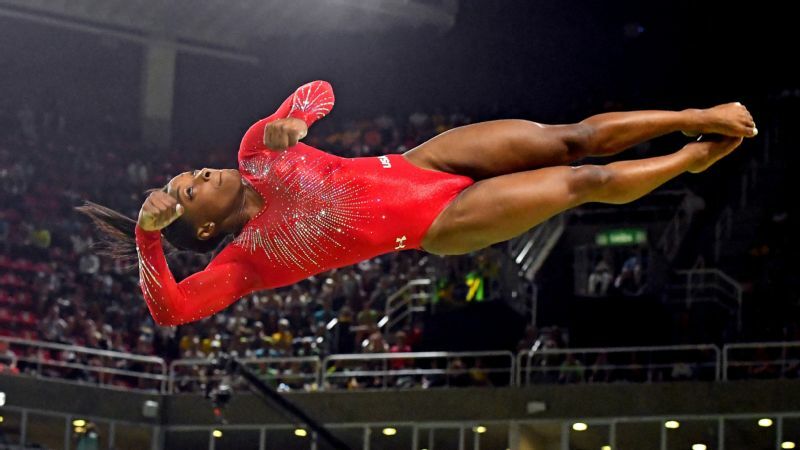 Simone Biles, who won the individual all-around gold medal in Rio, the same title Douglas won at the 2012 Olympics, spoke about how this team is as close as sisters, and how Douglas -- one of her best friends on the team -- was among the first to congratulate her. Aly Raisman, who won the silver in the same event, said Douglas was among her teammates who spent the morning of the all-around helping Biles and Raisman get ready, asking them if there was anything they needed. "I love them. ... I always supported them," Douglas said Sunday. It still didn't stop the ginned-up criticism. Douglas, who finished seventh in the bars Sunday after qualifying third-best, admitted, "It's been hard." "When I heard some of the comments, I was finally like 'Whoa, whoa, whoa, that's far from me and far from my personality at all," Douglas said. "I've been through a lot. A lot. Sometimes I sit back and say, 'Wait. What did I do to disrespect people? What have I done to disrespect the USA?'" "I don't get that part," Douglas said, tearing up again. "I'm sorry."